Posted 2016-11-19 · filed under art. 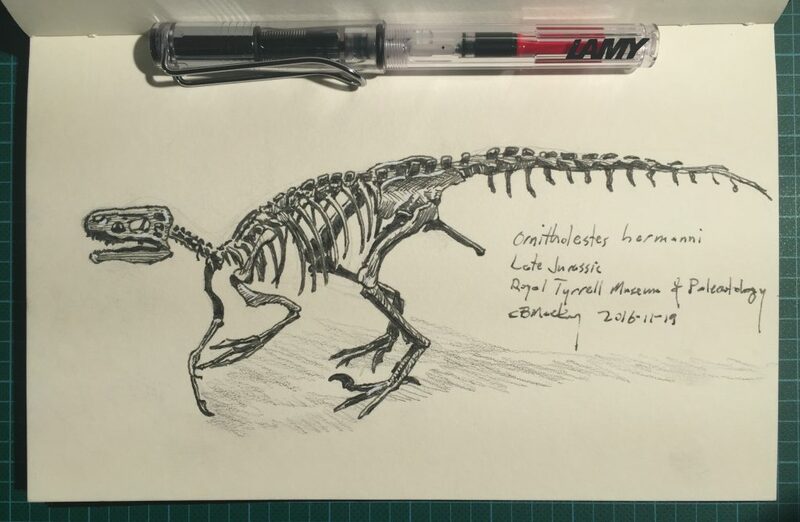 Ornitholestes hermanni skeleton on display in the Royal Tyrrell Museum in Drumheller, Alberta; pencil and ink sketch from a photo I took in July, 2016. Lamy Vista with Lexington Gray Noodler’s Ink on 5 ¾ × 8 ¾″ Stillman & Birn Gamma (ivory/150 gsm) paper.